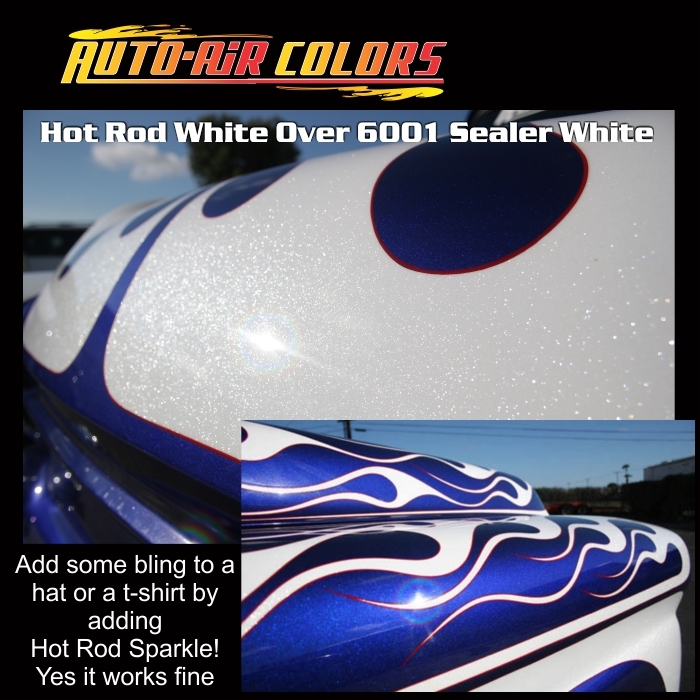 Did you know, Auto-Air Colors Hot Rod Sparkle White will take on the hue of any Transparent and Candy 2o Colour. 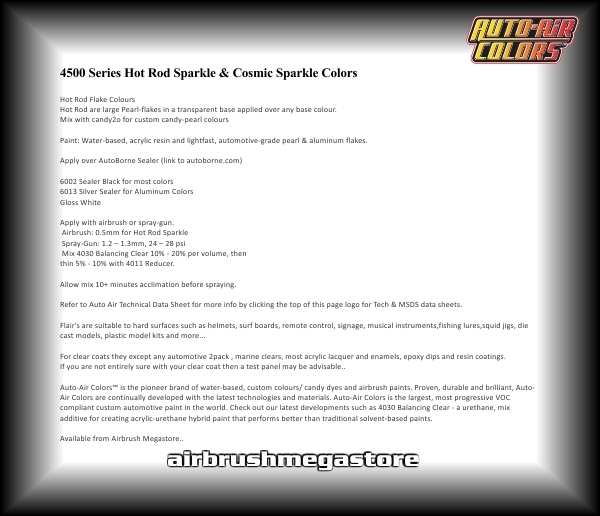 Imagine to custom combinations you can come up with, for a quick easy bling effect simply use the Hot Rod Sparkle colour closest matched to Auto-Borne Sealer for instant in-expensive results. EG: AutoBorne Sealer 6006 Red with Hot Rod Sparkle 4506 Red. For best results reduce with 4012 High performance Reducer and for a urethane flow add 10% or higher of 4030 Mixing Additive. 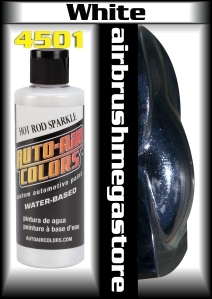 Airbrush Colours all available at Airbrush Megastore.